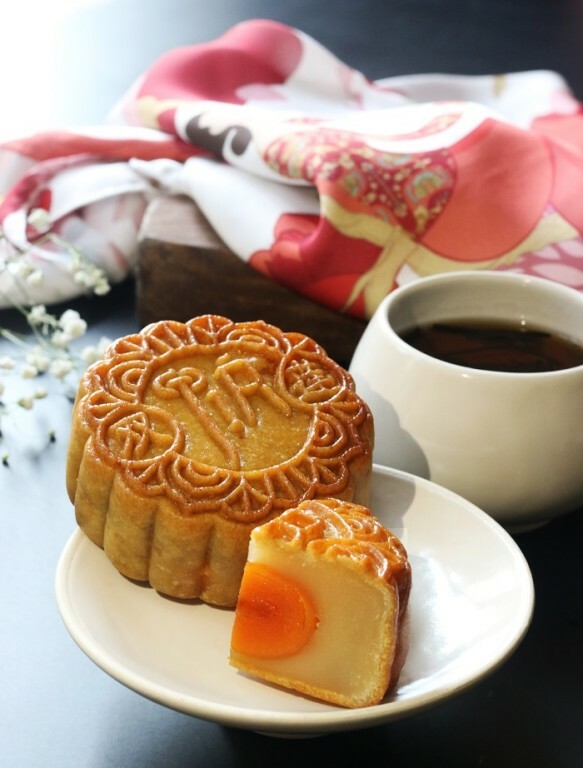 JIA, the recently opened contemporary Chinese restaurant at Shangri-La Hotel, Jakarta, celebrates the Mid-Autumn Festival for the first time by offering mooncake gift sets. The restaurant also features a Mid-Autumn-themed silk scarf exclusively created in collaboration with local designer Patrick Owen as part of the season’s gift. 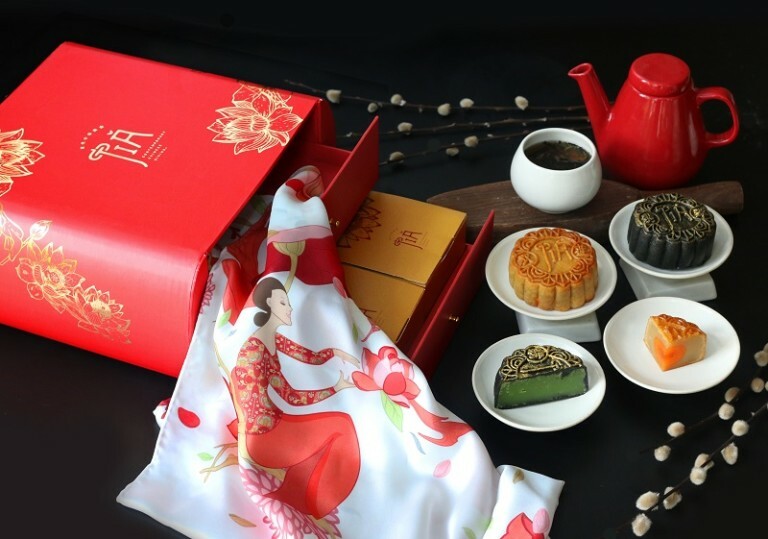 To kick off the Mid-Autumn Festival celebration, JIA has collaborated with Owen to present a Lady Mooncake gift set as this year’s limited-edition mooncake package. The Lady Mooncake gift includes an impressive silk scarf designed by Patrick Owen and customised mooncakes flavours as a perfect personalised gift for special people. 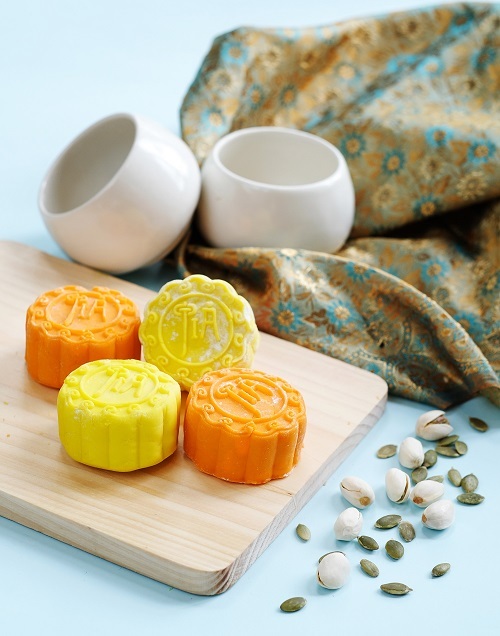 The mini mooncakes feature White Lotus, Red Lotus, Pandan Paste, Snow-Skin Durian Egg Custard, Snow-Skin Green Tea Ganache, Snow-Skin and Snow-Skin Star Anise Chocolate. The mooncake display will be available starts from August to October 2017 in the mooncake house at Shangri-La Hotel, Jakarta’s lobby. 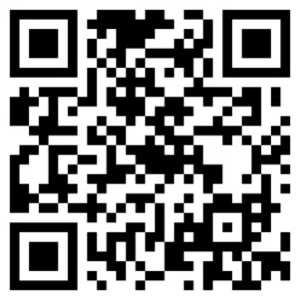 For more information and for reservations, guests may call (021) 2922 9999, send an email to fbreservation.slj@shangri-la.com or access the website at http://www.shangrila.com/jakarta/shangrila/dining/.